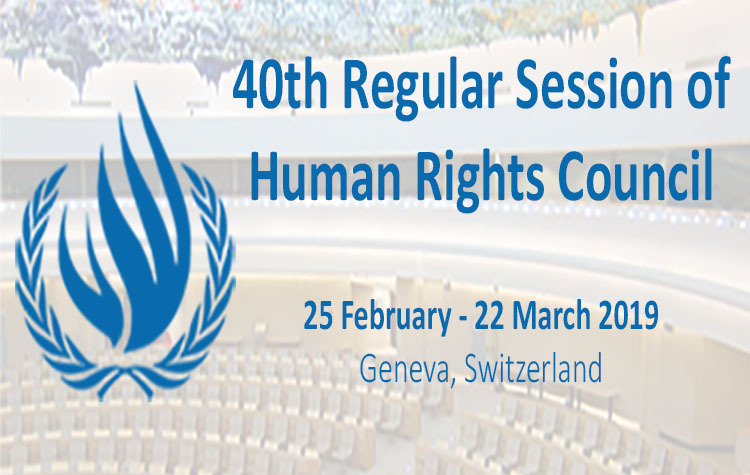 HRC32 Side Event – Malaysia Implementation of UPR Recommendations: Progressing or Regressing? Malaysia is encouraged to submit a mid-term UPR report to the Office of the United Nations Commissioner for Human Rights (OHCHR). However, the government, through previous consultations with civil society organizations, had indicated that it was not inclined to do so. The Coalition of Malaysian NGOs in the UPR Process (COMANGO), on the other hand, documented an assessment and subsequently came out with a UPR mid- term review report on the Malaysian Government’s implementation of proposed recommendations at Malaysia’s second cycle of the UPR in 2013. The mid-term report details the assessment of implementation of a total of 60 UPR recommendations which Malaysia had accepted and which are deemed specific and measureable. Among these recommendations, only 20% were fully implemented by the government. More worryingly, 57% of these recommendations have witnessed a regressing situation of increasing violations of human rights, and a trend of growing impunity. The World Organisation Against Torture (OMCT), FORUM-ASIA and Suara Rakyat Malaysia invite you to engage in an interactive dialogue on Malaysia’s implementation of UPR Recommendations. Please contact devi.elumalai@gmail.com, if you have any questions. Download the flyer for the event here.